There’s something about being able to take a nice, hot bath that just excites me – perhaps it’s because I know I have things to throw in to make that bath an amazing place..
I’m always thinking of things that we can gift to friends, or even teachers, and these work super for that. 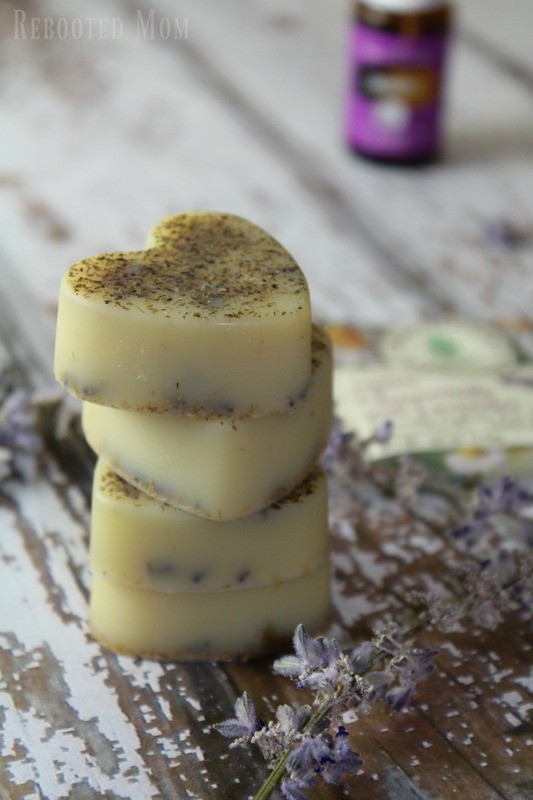 And Lavender Essential Oil is such a wonderful oil for skin, not to mention it’s very relaxing – so it’s the first oil I tend to lean towards when it comes to gift giving DIY’s. We recently took the family on a road trip to New Mexico from our home in Phoenix. It was about a 5-hour drive. We stopped at Deming, New Mexico to stay (both nights) and our hotel had quite a few beautiful Lavender bushes in the parking lot. I had to make sure they were lavender, then just before we left, I took a few twigs for myself – I know… I probably shouldn’t have. But it was hard to resist. I let them dry and used them in this DIY below. Not only are these easy to make, they are great to give as gifts. Wrap up 2-3 and tie with a pretty ribbon. You can throw everything in a glass Pyrex measuring cup and melt for 20 seconds at a time, 3-4 times through and everything should be ready to combine & pour. In a glass measuring cup, add the cocoa butter and shea butter; microwave for short periods of time until melted. Once melted, add the tea (dry) by breaking open a tea bag. 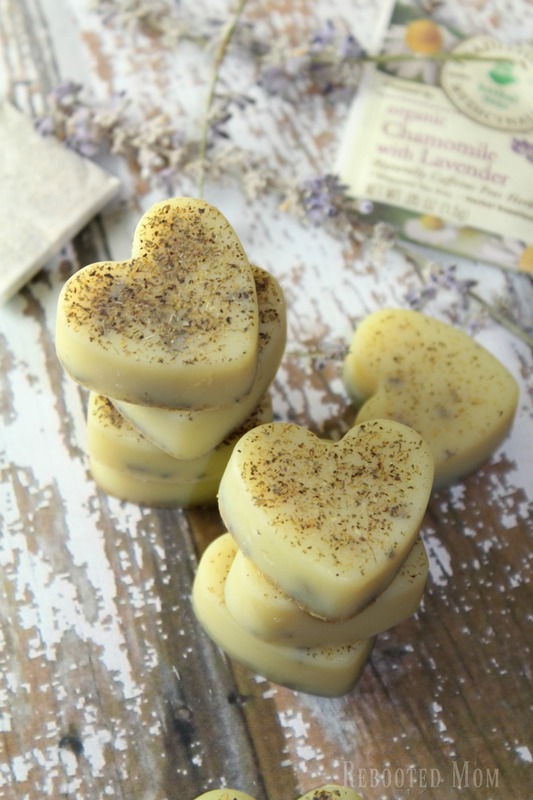 Add the essential oil and dried lavender flowers and then pour into your heart mold and pop in fridge or freezer to cool. To use: add one to a hot bath. The content that we shared, above, is not intended to be a substitute for medical advice or treatment. It’s always best to check with a qualified health provider for questions you might have. Moreover, this information has not been evaluated by the Food & Drug Administration and is not intended to diagnose, treat, cure or prevent any disease. 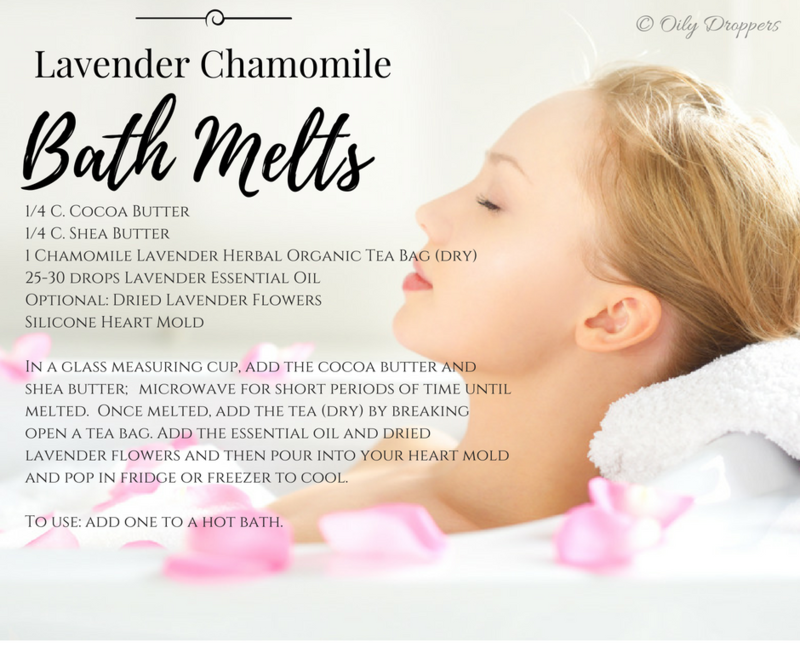 Share the post "Lavender Chamomile Bath Melts"